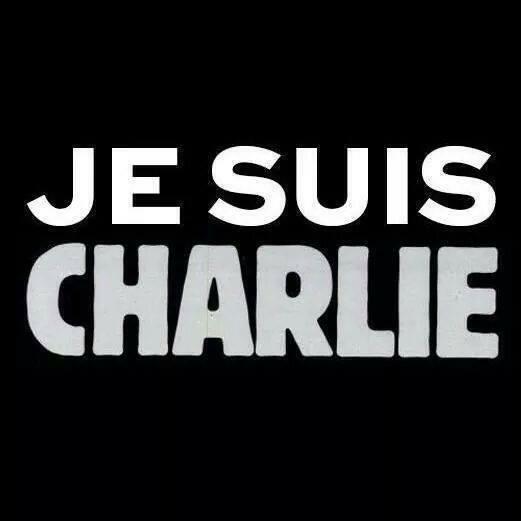 We have all been shocked by the attack on French journalists, and indeed, on all free speech. We stand in solidarity with our friends in France, and also with all peace-loving French Muslims who must be anxious about the consequences for themselves of actions they abhor just as much as the rest of us do. Personally, I want to stand shoulder to shoulder with every French person who stood tonight with a placard saying “NOT AFRAID”, “PAS PEUR”, “Je Suis Charlie”. But as the responses begin to flood Facebook and Twitter, my heart sinks. Christians on the one hand queueing up to denounce Islam, and on the other hand to beg for the return of Jesus very soon. I have problems with both of these. I agree that Islam is not the truth, that by its denial of the death and resurrection of God the Son it is leading people away from the hope of salvation. But I cannot condemn it wholesale. Many Muslims have come to Christ through reading the Qur’an. Check out this video. I cannot accept that Muhammad was a prophet, but I respect people’s right to believe something that I disagree with, even while I pray that God will reveal the truth to them. I have Muslim friends and all of them reject the violence which is being carried out apparently in their name. But I am still more disturbed by this “beam me up Scottie” theology which believes that the only important thing is that Jesus should appear here and now and remove me lest any inconvenience or unpleasantness should come my way. Jesus will come the second time, as He did on the first occasion, “when the time was fully come”. One of the reasons for the delay, Peter tells us, is because God is not willing that any should perish, but that all should come to salvation. There can be no greater blasphemy than being merciless in the name of ar-Rahman The Merciful One, and causing conflict in the name of as-Salaam, The Source of Peace. But those who behave like this are precious, albeit corrupted, souls for whom Christ died. What if God is waiting for some of them to find salvation in Jesus? What if my ennui with the world and my wish to be removed from it are less important than God’s plans for the Muslim world? After all, who was the first serial killer of Christians? The Apostle Paul. The last command Jesus gave us was to go – into all the world. But most of us (and I hold my hands up here and say mea culpa) have stayed right where we were, not really caring whether Muslims ever got to hear the Gospel or discover the love of Jesus, God’s Son. Not until they started coming over here and bothering us, and then we respond by asking God to wind it all up, take us to heaven and consign them to hell. Does that really sound like the spirit of the One who laid down His life so that “no one should perish, but all should come to repentance”? This world can be transformed. It’s meant to be transformed. But it isn’t going to happen by us sitting on our hands and whining for a medi-vac to heaven. It’s going to happen by us giving ourselves sacrificially to intercession, loving our enemies till it hurts, declaring the counsel of God until the demons run screaming away with their hands over their ears and giving up our home comforts to take the Gospel to the places where it’s not yet known. I’m sorry if that sounds more of a rant than my usual writing style. But I feel strongly about it. 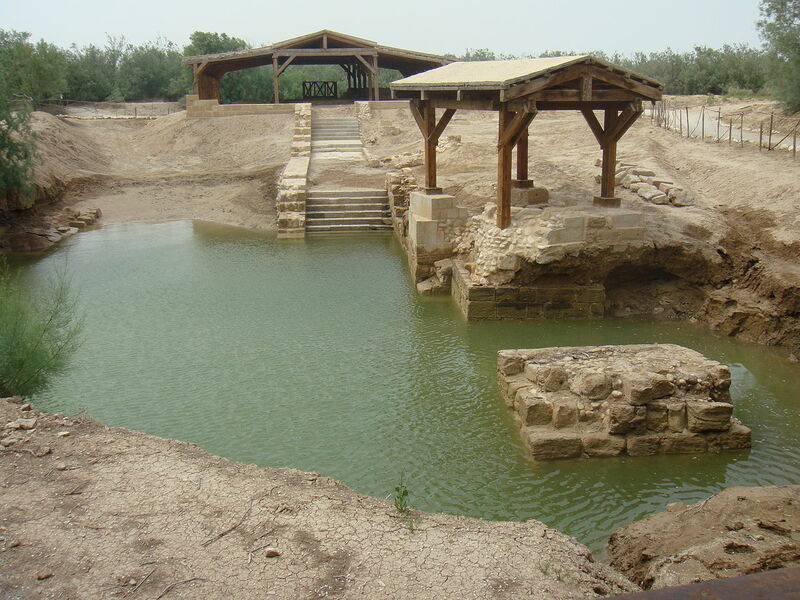 Over Christmas I have been reading and thinking about the ministry of John the Baptist, the forerunner of Jesus the Messiah. As often with the Gospel narratives, we have to fit the whole jigsaw together from the four different Gospels. Sometimes these Bible passages are so familiar that we have to picture them as though we were there in order to catch the real spirit and flavour of what happened. John the Baptist as portrayed in the Gospels has a holy boldness that renders him fearless. He has a message which he will deliver to whoever will listen, and will baptise those who are willing to repent and amend their lives in line with his teaching. He even dares to call the religious and legal leaders of his day, “a brood of vipers”. Affronted, they send a delegation to investigate the fiery young preacher. I can picture the priests and Levites coming to ask John just exactly who he thinks he is, and, as the conversation progresses, his growing alarm at the thought that some may be mistaking him for the long-promised Messiah (much as Paul and Barnabas must have felt at Lystra when they were mistaken for gods). I see him on tiptoe, a-quiver with excitement, his eyes aglow, trying to convey to his hearers the momentousness of what God is about to do. And all this is a matter of faith, because he still has no idea who the coming one is, he just has one clue that the Holy Spirit has given him: “The man on whom you see the Spirit come down and remain is the one who will baptise with the Holy Spirit.” He doesn’t know exactly how this will look, but he knows for certain that he will recognise the moment when it comes. And at once John understands his own reluctance to baptise Jesus. All the excitement he has felt as he has been describing the one who will baptise with the Holy Spirit and with fire now finds its realisation in the person who stands in front of him. His whole life has been building up to this moment; his faith in God has not been in vain. John’s enthusiasm must have seemed fanatical and out of place to a society that had grown weary of waiting long centuries for God’s promise. It was much more sensible to live a life of resignation than be at the mercy of hope. Hadn’t many previous generations longed to see Messiah, and died with their hopes unfulfilled? Why set yourself up for disappointment? But John refused to be conditioned by the spirit of his community. God had ignited a flame of hope inside him, which he was going to nurture and not let anything extinguish it. We, too, live in a world that is weary and has to a large extent given up hope of seeing God come in any significant way. More than that, many of the woes of the world, the wars that cause suffering, destruction and starvation, are caused by religious fanatics who think they are espousing God’s cause. The rest of the world can be pardoned for thinking they would rather not be visited by such a God. And yet we who know Jesus have a twin hope of His coming. We have an expectation of His ultimate return to bring justice and peace and to establish His reign and rule. And we have the hope of His promise never to leave us or forsake us. (Are we as excited about these as John was about His first coming?) Whatever circumstances we are currently facing, Jesus is certain to appear in the middle of it all! I remember being told by a preacher that an old Quaker Bible rendered James 5.8 “The coming of the Lord is at your elbow”. Do we really believe He is that close? Suppose the reality of Christ were to break in on you right now? I would like to encourage you, whatever your personal circumstances, no matter what difficulties or struggles you may be facing, not to lose your excitement over the ways in which Jesus is going to come to you this year. You may not yet know how that will look, or what difference it will make, but like John, you can be sure you will recognise Him when He comes. Don’t allow the general pessimism in the world around to rob you of that excitement. We have His word, the apostle Peter tells us, “made more sure, to which you do well to pay attention as to a lamp shining in a dark place”. No one in their right mind would turn their back on the beam from a lamp and step out into the darkness; and yet I know there have been times when I’ve done exactly that, focussing on the conditions around me rather than on the promise of God. But if you keep your focus on the promise of Christ, He will illuminate all your surroundings. So whether you are starting 2015 with a pleasant prospect of good things to come, or whether the outlook is grim, pay attention to the promise of His presence, His coming in your circumstances, just as you would pay attention to the beam from a lamp shining in a dark place. Soon enough you will discern His presence and see His transformation in your life. I’m not really big on New Year’s resolutions. I adopt Miles Kington’s policy of making only ones I’m sure I can keep. This year they were to speak only English at work, to breathe every day, always to wear clothes to church, to keep on writing and not to swim across the English Channel. Nevertheless, God has ordered the world in seasons, and the start of a new season is always a fresh opportunity to be more intentional in the pursuit of God. So while I haven’t set myself up to fail by making resolutions I may not keep, I have taken a few steps to put God more at the centre of my life. During the painful times in the last few years I have sometimes retreated from reality into mindless computer games. Of course it doesn’t block out the real world for long, and it doesn’t make the experiences less painful – sooner or later you have to return and face reality. The only real answer is to bring everything frankly and honestly to Jesus who is the great Healer. But last week I deleted all games off my computer to reduce that temptation. At a time when home was not a safe place and I felt quite beleaguered, I found myself using Facebook more and more to connect with people who were safe and would build me up, not tear me down. But over the years it has become a habit to an extent that is at least off-balance, and probably unhealthy. Rather than make a guilt-inducing resolution about using Facebook less, I have replaced it as my internet home page. Now when I turn on my computer and open a browser window, instead of Facebook opening in front of me, it will take me to www.sacredspace.ie where I will find daily prayers, Bible readings and meditations designed to help me focus on and engage with God. These are minor changes, but I hope they are like the adjustment of a sail – it might not look as though much is different, but the sail has been set to catch the wind which will propel the ship in a particular direction. I hope that by dropping some encumbrances I’m setting my sail to catch the wind of the Holy Spirit, to be taken to a shore where a harvest is waiting to be gathered, the fulfilment of years of hopes and prayers.